It is important to ensure that all JG product displays make an impactful presentation of our innovative JG Speedfit ranges. 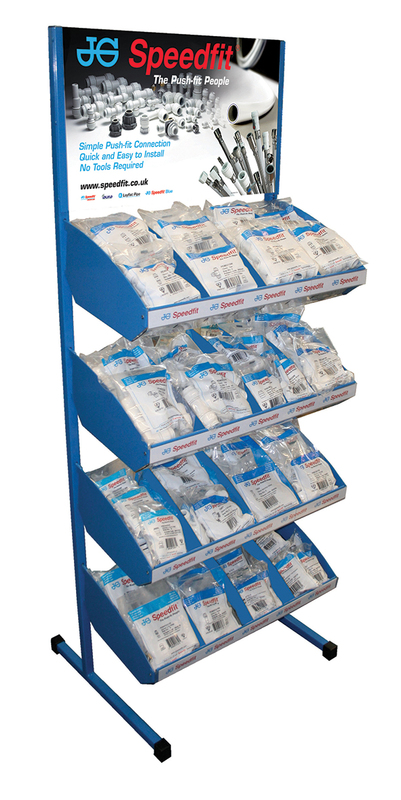 We are proud to offer our suppliers a redesigned JG Fittings Display Stand, which should enhance stockist’s sales of JG Speedfit fittings. For further information on how to purchase the new JG Fittings Display Stand, contact the JG sales team near you or call our customer services department.